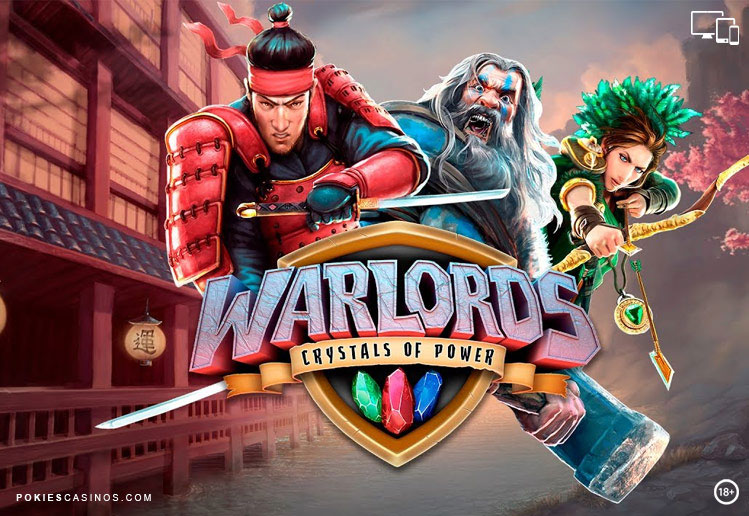 Warlords: Crystals of Power pokie is powered by the well known software gaming company NetEnt and has 30 paylines and 5 reels. Warlords: Crystals of Power is about three ruthless Warlords who are battling it out to become the ultimate ruler and capture everything for themselves. This pokie features excellent HD graphics and superb animations depicting medieval motifs with a modern twist. The game will introduce the 3 Warlords – the Barbarian, Priestess and Samurai. Each Warlord has a special animal side-kick and colour co-ordinated Free Spins symbol. There are 10 bet levels in total with adjustable coin values and bet limits. 3 000 in coins on a single bet line. Random Overlay Wilds can be triggered at random at any time during the main game. The 3 Scatter symbols award Free Spins. There are also 3 different types of Free Spins with its own set of reels. Final Chance is randomly awarded when 2 Scatters appear and trigger Re-Spins. This Bonus will be activated at any time during the main game. After the bonus feature is activated, random symbols get replaced by Overlay Wild symbols. When playing the main game, the initial Scatters can award a corresponding game feature such as 3 Free Spins, x1 Multiplier or 1 Sticky Wild. The type of Scatter symbol determines which Free Spins game is to be awarded. Re-Spins will be awarded when 2 or more Scatter symbols appear on the reels. Scatters can appear only on Reels 2, 3 and 4 but can appear on all 5 Reels during Re-Spins. When 3 or more Scatter symbols appear the Free Spins will be activated. Each Free Spin game has its own set of reels with the same type of Scatter symbol that activated the Free Spins round. If during the Free Spins rounds more Scatter symbols appear on the reels another feature will be activated depending on the Free Spins Game. When 2 Scatter symbols appear and trigger the Re-Spins a random feature will be awarded. This could be either be a coin win between 3 and 100x the bet or a Scatter symbol in a random position on the reels. If a Scatter symbol appears, a Free Spins round will be awarded without additional Re-Spins. If no more Re-Spins are triggered and 3 or more of the same active Scatter symbol are visible, the Free Spins round will begin. 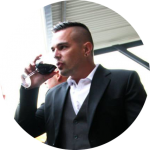 NetEnt games can be set to adjust sound, speed of spins, remove animations and adjust the graphics quality for the required internet speed. Autoplay can give up to 1 000 auto spins. You can play Warlords Crystals of Power Pokie Game at our recommended NetEnt Internet casinos below.